If you’re like Huck and you’ve been watching the dollar’s price action, then this one’s for you! 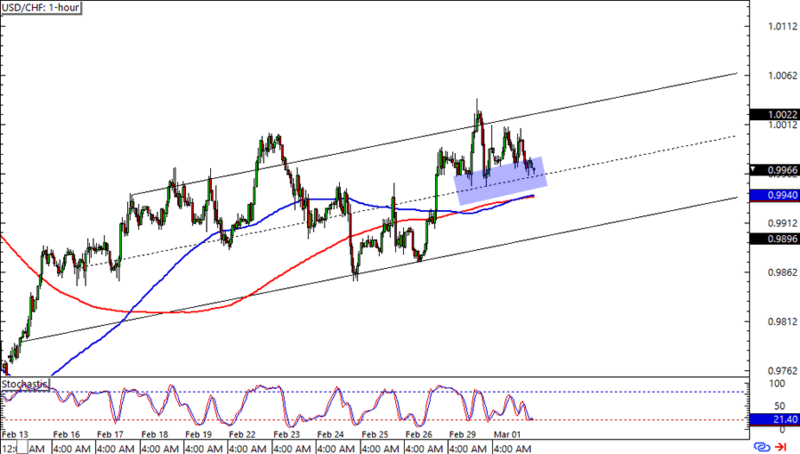 USD/CHF is lollygagging at the .9950 area, which is just above a mid-channel support and the 100 and 200 SMAs on the 1-hour time frame. Right now Stochastic is also on the bulls’ side with an almost oversold signal. A long trade at the mid-channel levels could be a good trade idea if you think that the dollar would gain some more against the franc. Of course, you could also wait for a retest of the channel support if you believe that the pair would touch the level before going back up. Here’s a range play my three-year old nephew would spot with one eye closed! 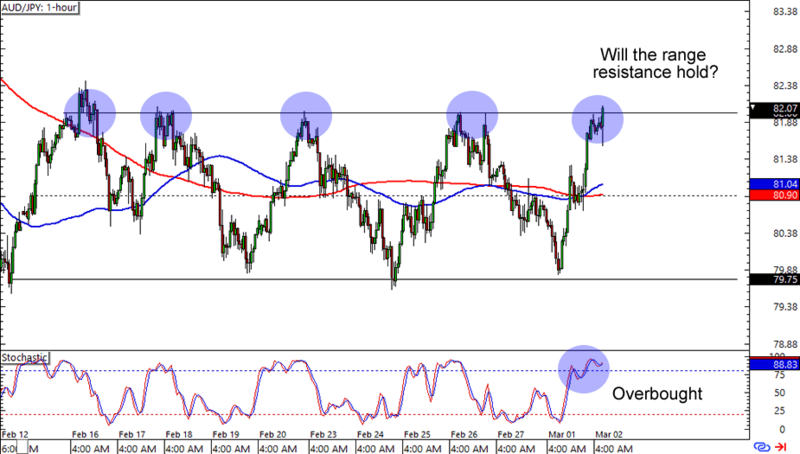 AUD/JPY is testing the 82.00 major psychological handle, an area that has been serving as resistance since mid-February. Not only that, but Stochastic is also hanging in the overbought territory. Will the range resistance hold for another day? Read up on trading ranges if you’re not familiar with the strategy yet! Last one up for today is a nice support-turned-resistance opportunity. 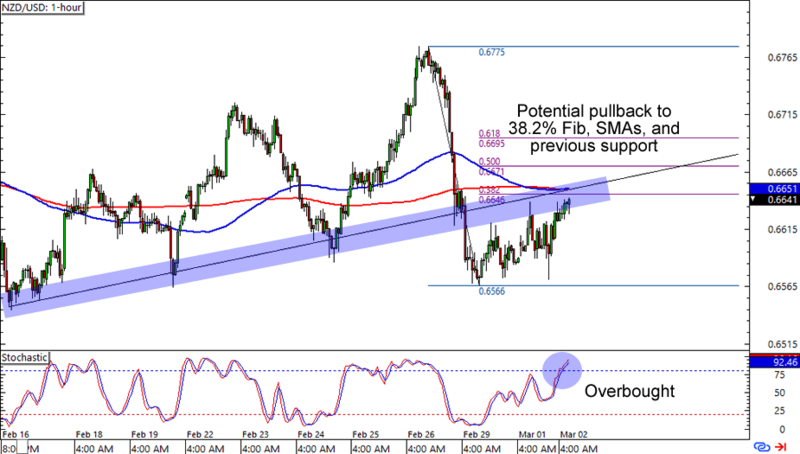 NZD/USD found support just above the .6550 area and is headed for the .6650 levels. What makes the setup interesting is that it’s also right smack at a 38.2% Fib, 100 and 200 SMAs, and a broken rising trend line on the 1-hour time frame. Will the bears step in to defend the previous resistance area, or will the bulls have enough momentum to push the pair back to its previous highs? Watch this one closely, fellas!